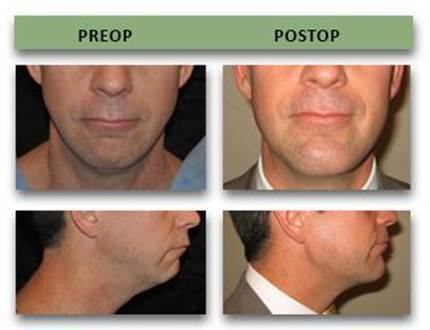 Dr. Yaremchuk has innovated the use of custom facial implants for both aesthetic and reconstructive indications. Precise measurements obtained from CT scans allow creation of virtual and physical models that allow Dr. Yaremchuk to design implants unique for the patient. If requested when scheduling a consultation, 3D CT scans can be obtained on the day that one first meets with Dr. Yaremchuk. The three-dimensional image reveals the exact underlying skeletal anatomy of the patient. Since one's facial skeleton is the fundamental determinant of their appearance, it can be invaluable to patient understanding during the consultation. The 3D CT makes surgical planning more precise when using both custom and off-the-shelf implants. Below are planning images derived from a CT following a patient consultation. 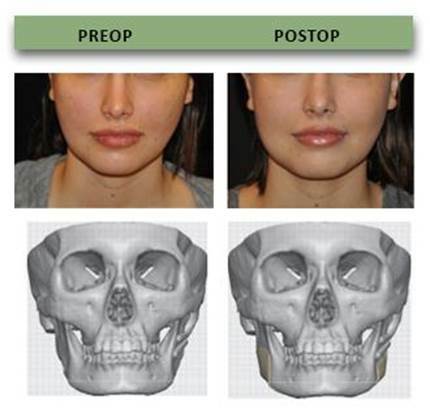 In this case, the patient desired to correct the asymmetry in her lower jaw, as well as create a more defined chin and more prominent cheek bones. Bespoke facial implants were designed to provide these skeletal changes, which would be reflected in the contours of her face. The below image on the left shows the patient's underlying skeleton. The image on the right shows the custom-made bespoke implants overlying her skeleton. * Below is transition showing the impact of the skeletal alteration on her appearance. 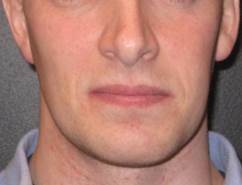 This patient had custom implants placed to augment his deficient chin and mandible. This transition showing the impact of the skeletal alteration on his appearance. This patient with hemifacial microsomia had been treated with sagittal split osteotomy, horizontal chin osteotomy and later distraction osteogenesis in attempts to reconstruct a symmetric mandible. 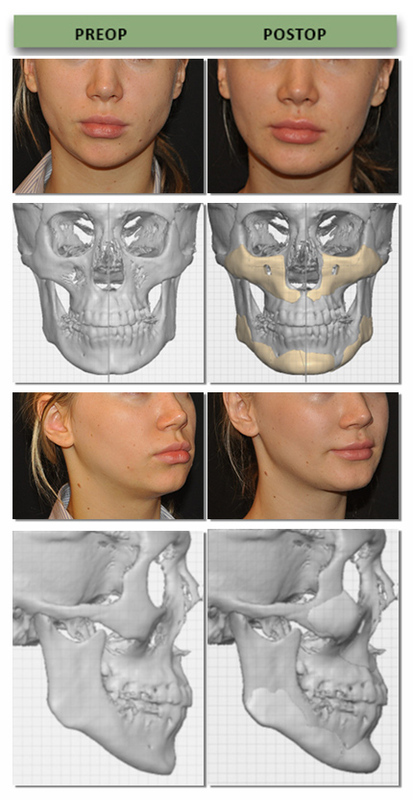 CAD/CAM implants brought symmetry and balance to her face. * This patient had undergone mandible angle reduction in the past. She disliked the new look and desired restoration of her angles. 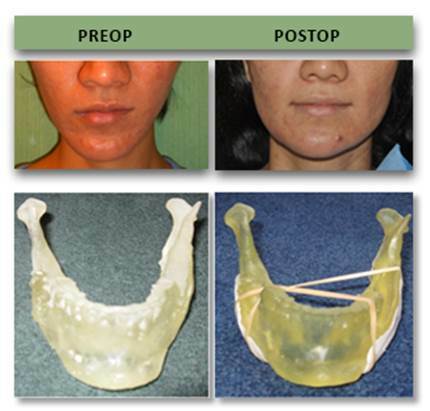 * Custom implants were designed to restore angles which provided the desired lower face width. The patient below had undergone LeFort maxillary advancement and sagittal split osteotomy of the mandible. The upper midface, mandible and chin were augmented with CAD/CAM implants to restore facial balance and correct border irregularities. 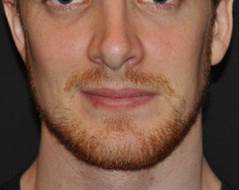 *This man underwent CAD/CAM implant augmentation of midface and lower jaw as well as rhinoplasty.